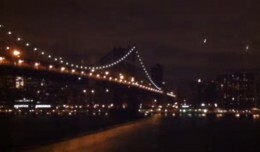 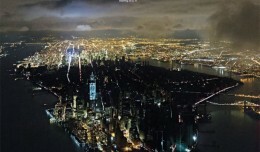 How photographer Iwan Baan captured Hurricane Sandy's Manhattan blackout in one photo. 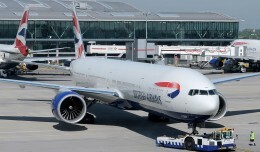 Shortly after boarding a British Airways flight Mubarak Hamad allegedly charged into the cockpit while screaming of shoddy service. 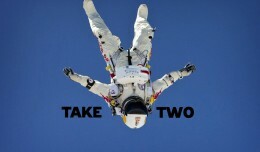 Weather permitting, Felix Baumgartner will attempt again to pull off the highest skydive in history at around 11:15 AM EDT Sunday morning. 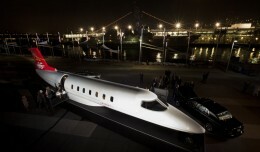 We climb aboard Bombardier's newest midsize business jet, the first to be built with a composite fuselage.